Details of quality assessment by the QUADAS-2 tool. 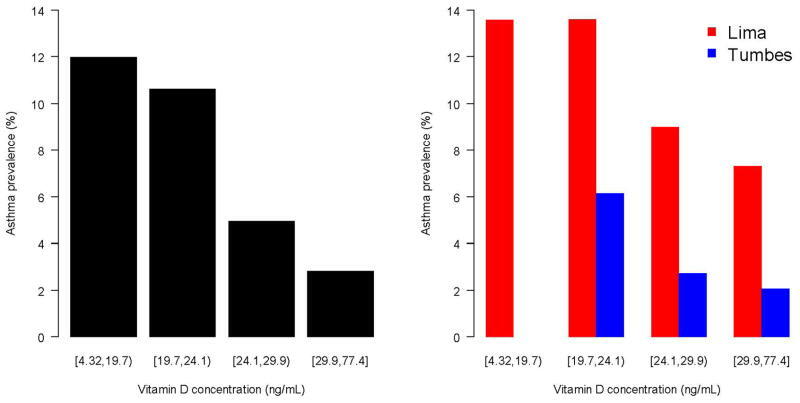 Left panel displays a barplot to describe the relationship between asthma prevalence and quartiles of vitamin D levels in the entire cohort. The right panel displays asthma prevalence by quartiles vitamin D levels stratified by site (Lima in red, Tumbes in blue). 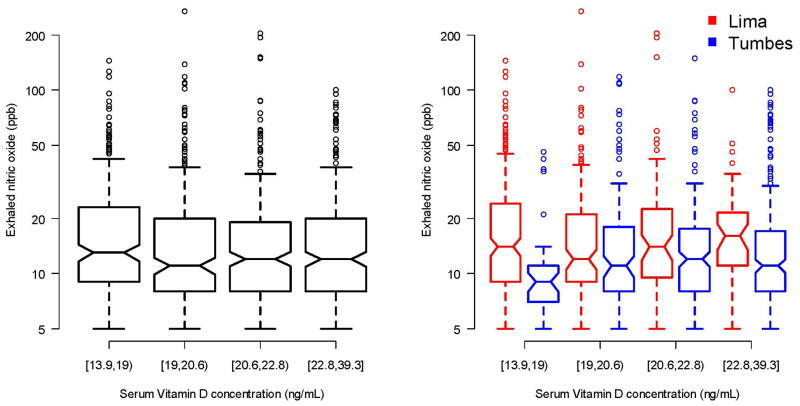 Left panel displays a barplot to describe the relationship between exhaled nitric oxide and quartiles of vitamin D levels in the entire cohort. The right panel displays exhaled nitric oxide by quartiles vitamin D levels stratified by site (Lima in red, Tumbes in blue). A review of the global burden, novel diagnostics, therapeutics, and vaccine targets for cryptosporidium. 25-hydroxy vitamin D levels are associated with childhood asthma in a population-based study in Peru.